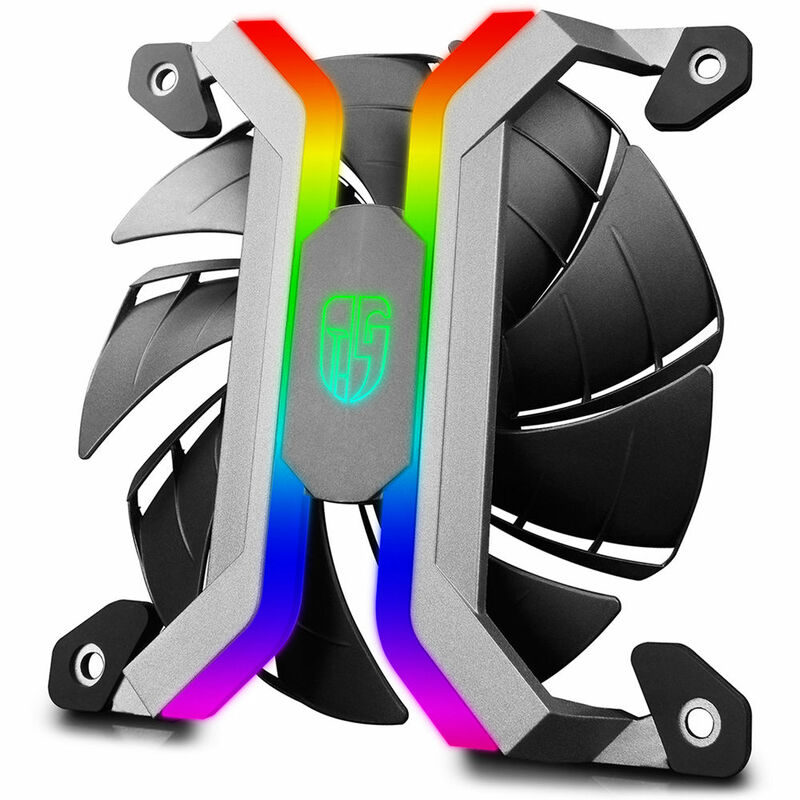 Cool your PC build with style using the MF120 RGB Cooling Fan Set from Deepcool. This set includes three 120mm fans with RGB lighting. The fans boast an aluminum-alloy skeleton frame and two-layer blower blades designed for optimal cooling efficiency. An app for iOS and Android lets you control the speed of the fans and switch between various RGB lighting modes via Wi-Fi. The MF120 features a seamless all-in-one skeleton frame made with 100% aluminum alloy. A seamless aluminum processing technique used in the fan's manufacturing process that to enhance air-intake performance. Two-layer blower blades are designed for maximum efficiency, while the suspended fan mounting helps to offer an unrestricted airflow. Built-in 16.7-million true-color RGB lighting system is controlled by a multi-function panel. You can also control the fans via Wi-Fi. An app for iOS and Android devices allows you control the RGB lighting modes and fan speed. Five built-in lighting effects (dynamic, static, breathing, comet, and fashion collision) provide 36 interchangeable lighting modes.